It's been a while since I wrote up a post on something I love, so today's BEDA post is dedicated to an item I never leave home without. My Camelbak Eddy water bottle. Back in January, right in the beginning of my journey into fitness, I determined I needed to drink more water. I started tracking my water intake with MyFitnessPal and...I was probably getting about 5 or 6 cups worth of water a day, when I should be having 8 AT LEAST. I noticed I really only drink water at work, and very rarely at home, even though we have this nice, fancy Brita water pitcher and everything. When I went to Ohio in January I bought a big bottle of water while waiting for my flight out of SFO. For the rest of the weekend toted this disposable water bottle around with me, constantly refilling it when I needed. I even took it on my trip back from Ohio (took it through security empty and refilled once past security). So many airports have water bottle refilling stations now too! I decided I really just needed to get a water bottle, that way I could have water on my walks and would (hopefully) drink more when at home. Plus it would be a lot easier to carry around and refill when dealing with airports. But which bottle to get? I knew I wanted BPA free (but who even makes non-BPA free ones anymore at this point, right?) and I would prefer one with straw-like part, since I notice that I tend to just mindlessly sip with a straw. 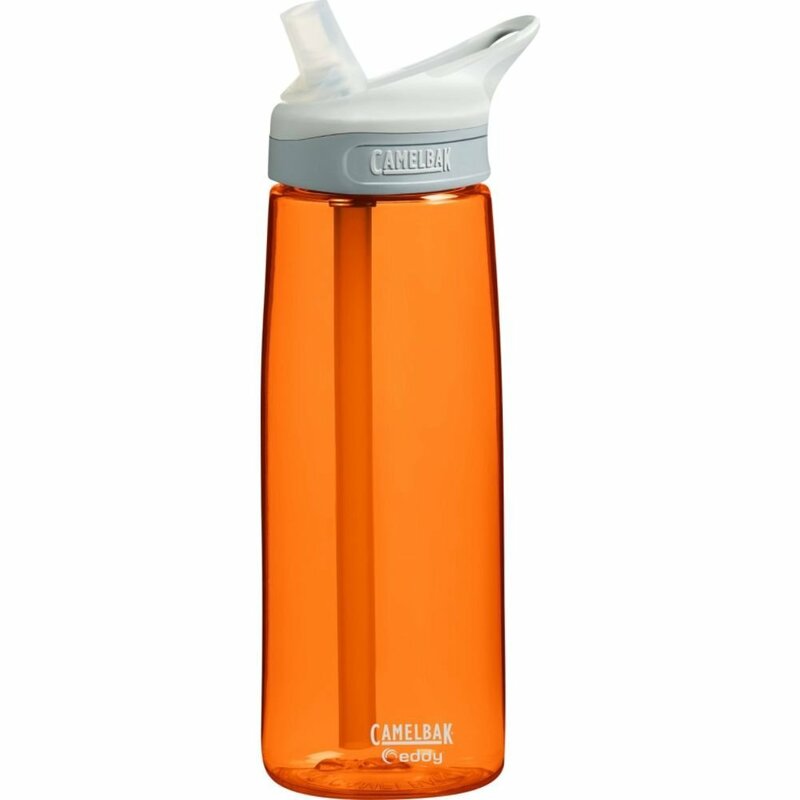 So I started my Google search, and came across this interesting little study from Pepperdine University where participants drank 24% more water when using the Camelbak bottle than other bottles. 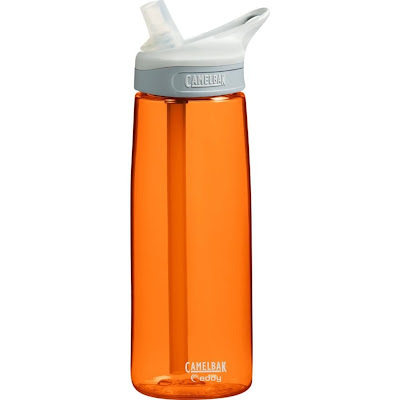 Plus the bottles were available for relatively cheap (with Prime shipping) on Amazon AND you can get one in bright orange? Since getting mine I've definitely been drinking A LOT more water at home, work and everywhere in between! The bottle I got holds 750ml which is a little over 3 cups of water and I try to have at least two (if not three) full bottles done by the time I leave work and tend to probably average around four (~12 cups) a day. Definitely an improvement from before! Rich even liked mine so much that he bought his own!